Kind words from across the pond. A blogger over at Lamoglie’s Blog called Gossip “an easy to read but cleverly written character-driven story with a lot of emotional impact” after seeing it in New Books Magazine. 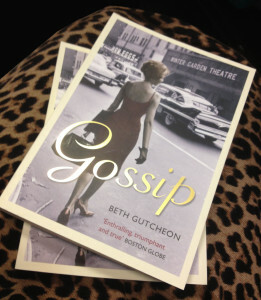 Gossip is being released in the UK by Atlantic Books next month. Be on the look out for GOSSIP in paperback, being released in the UK by Atlantic Books. Here’s a sneak peek at the cover art. Wendy Weil, who has been my agent and my beloved friend for well over half my life, died on Saturday, September 22nd. It came without warning and we think without fear or pain, but is no less devastating to the hundreds and hundreds of friends and colleagues who loved her. 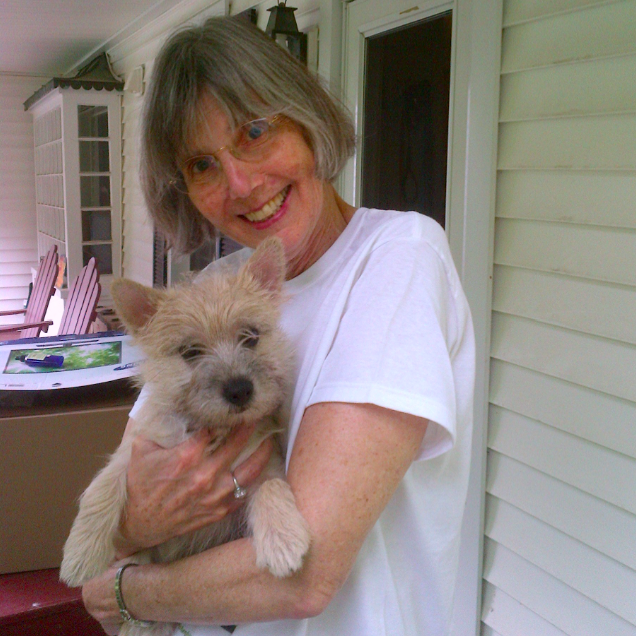 Shown here with Hamish, whom she adopted last month. If you knew her, you know what a loss this is. If you didn’t, no explanation would suffice. One of a kind, and a gem of a human being. RIP. “Gutcheon plays with appearances and truth both with her characters and their actions.” Read the full review on The Gilmore Guide to Books. “… it is the compelling sense of friendship and loyalty between the characters that is the star attraction of GOSSIP, and Gutcheon proves her mastery as a consummate storyteller with this spellbinding novel.” Read the full review here.